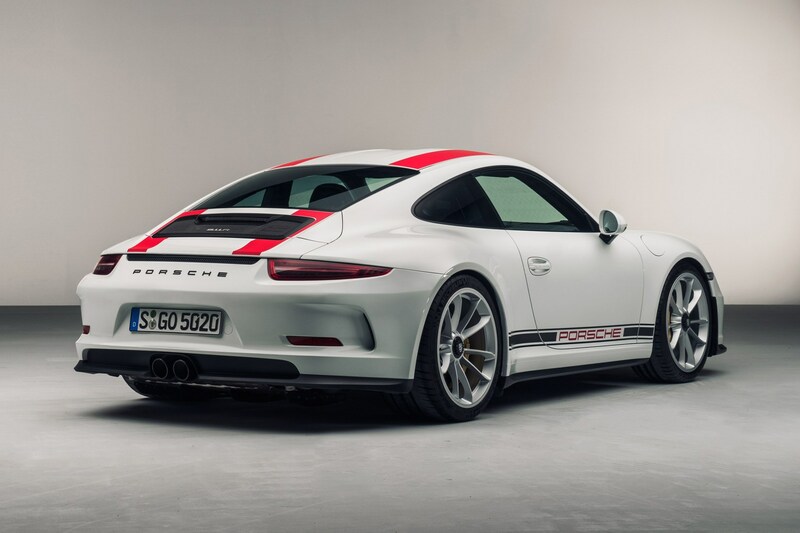 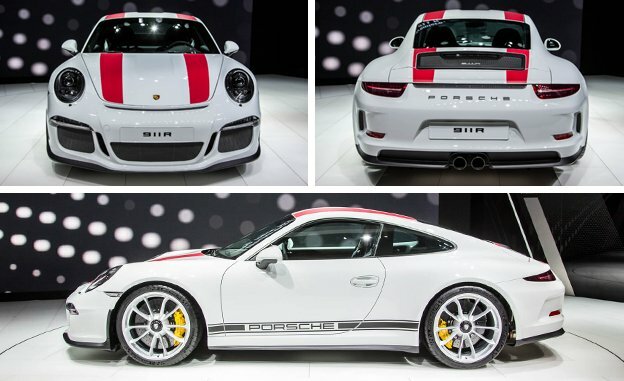 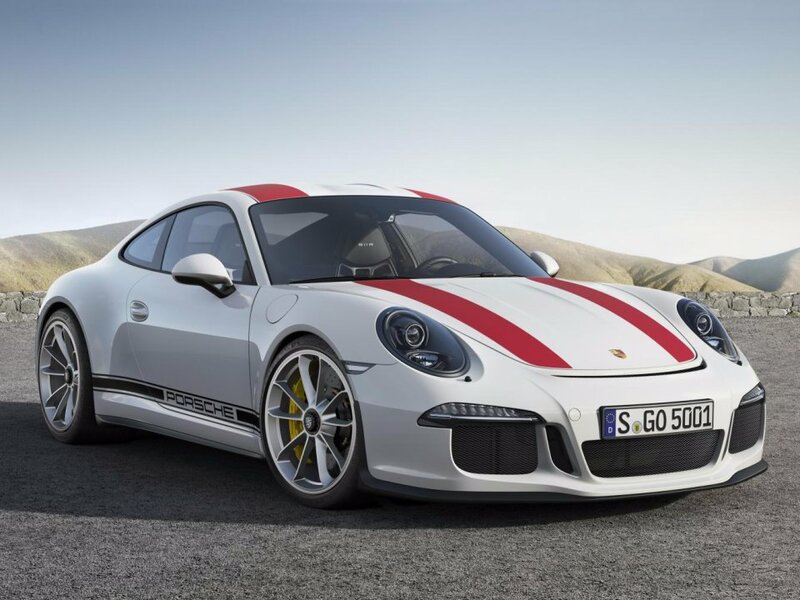 Porsche 911R coming soon – New Porsche 911 R left hand drive. 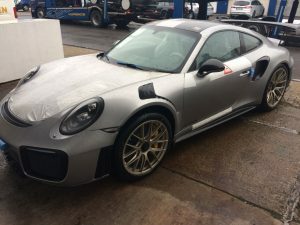 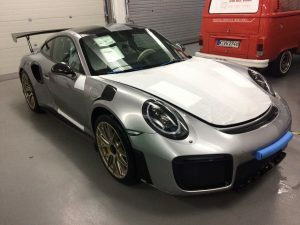 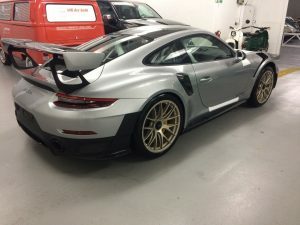 White with black standard interior, 918 bucket seats, gloss black 20″ GT3 alloy wheels, yellow brake calipers, white painted skirts, fire extinguisher, PCM, SatNav, Lift system, AC, Sport chrono package, single mass flywheel, Cruise control, Bose upgrade, huge spec.. 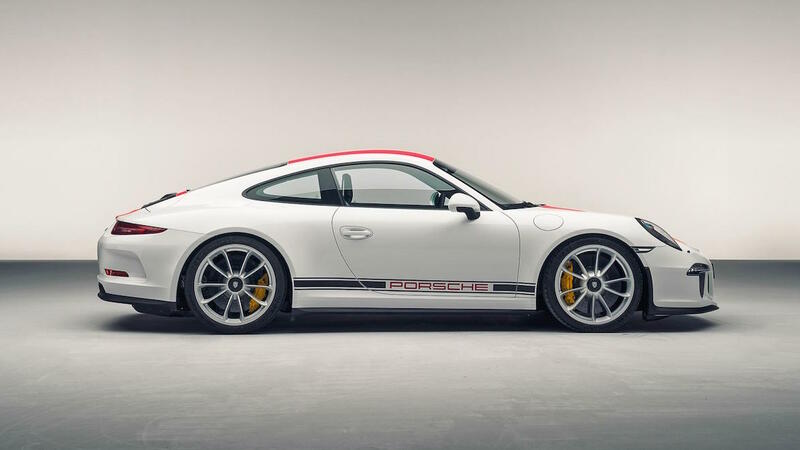 Revealed at the 2016 Geneva Motor Show on March 1, the Porsche 911R shares most of its underpinnings with the GT3 RS, but removes the rollcage, rear wing, and associated bodywork for a weight savings of 50 kg. 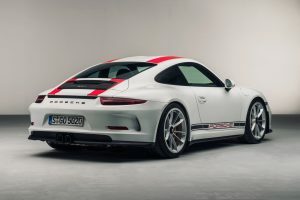 The Porsche 911R comes only with a 6-speed manual transmission, and has a top speed of 201 mph due to a lower drag coefficient compared to the GT3 RS. 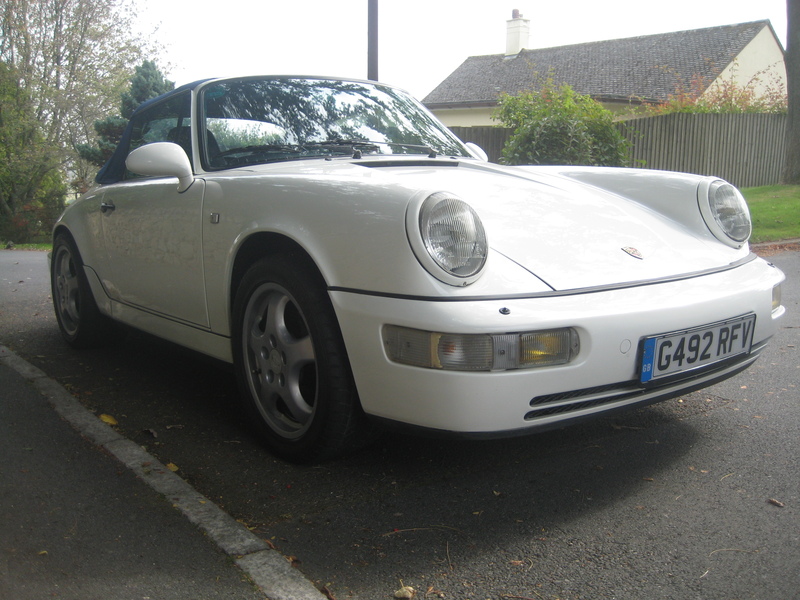 It also offers additional options for a lighter flywheel and removal of the air conditioning and audio systems. 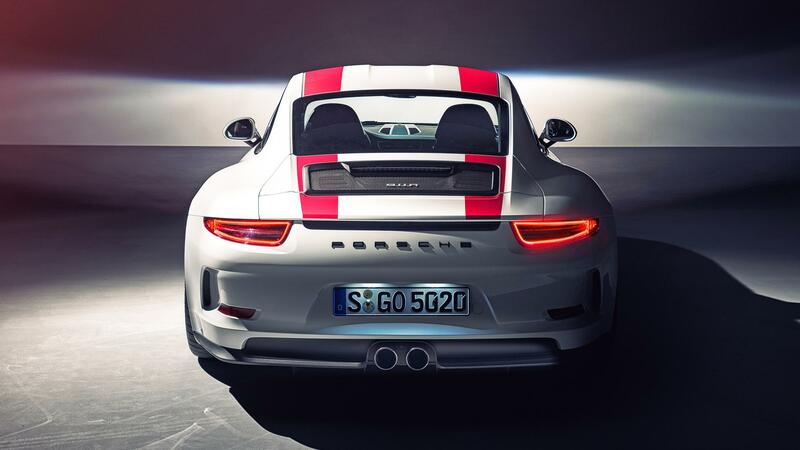 Production will be limited to 991 examples, starting as a 2017 model. It is the reminder of a lost childhood. 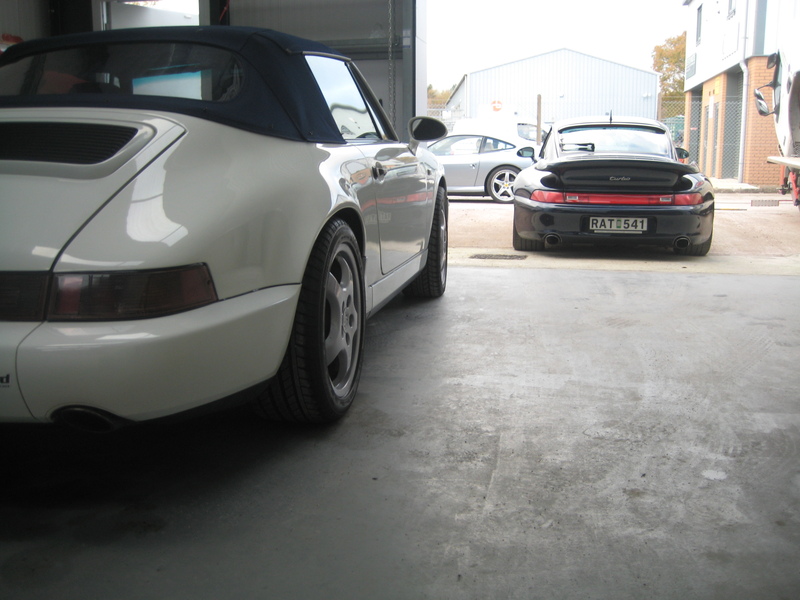 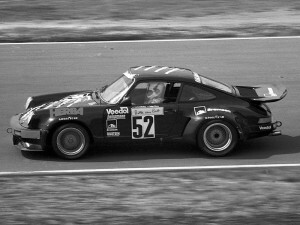 It smells of petrol, of asphalt, of the race track. 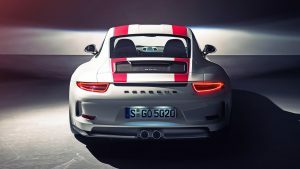 It can tell you tales of historic races, of victories and records, of naturally aspirated engines and manual transmissions, of red stripes and of the Porsche logo on its side.